The only website that allows users to make custom mermaid pillows in any way they choose. 6 colors available. Endless possibilities. REHOBOTH BEACH, Del., Dec. 26, 2017 /PRNewswire/ -- Innovative custom products website Qstomize.com has launched their custom mermaid pillows product online that allows anyone to make a custom mermaid pillow, something that at the moment no other custom product retailer can do. The decision to make custom mermaid pillows came from customers demand and trends – capturing a huge rise of mermaid pillows and custom mermaid pillows entering the marketplace in 2017. Several mermaid pillow sellers on Etsy and eBay reported recording breaking sales and are looking to grow their collections in 2018. 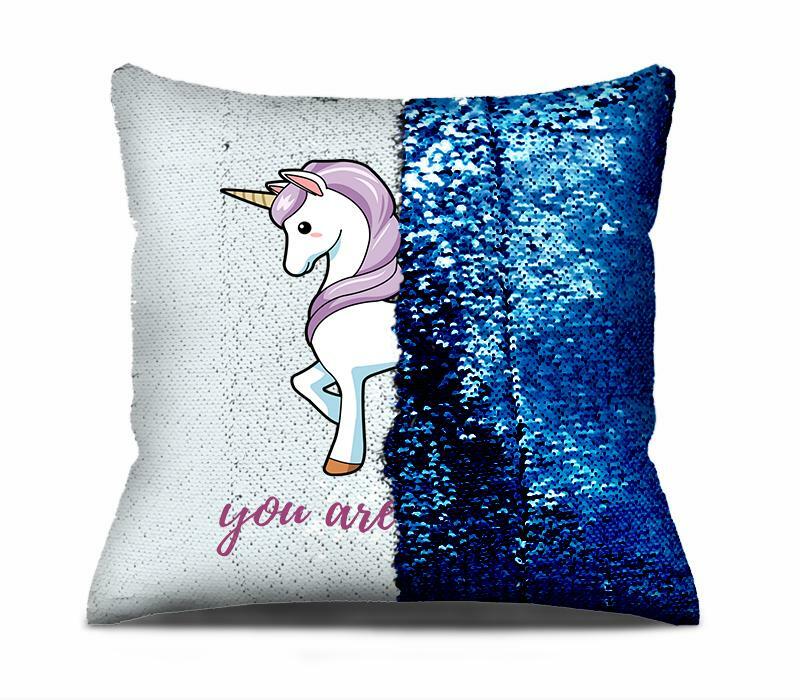 Qstomize differs in that they are the only website that allows anyone to make a custom mermaid pillow from the ground up. The user simply comes to Qstomize.com and starts designing with the DIY designer. Included are several emojis, templates, fonts, colors, and endless other features to help the user get started but the user can also make something completely up to them. They can also load as many pictures as they want and play with the designs to get the perfect custom mermaid pillow just for them. After the user designs their pillow, they now select between six different color options: red, blue, pink, silver, gold, and black. The material is made from sequin and feels really good. It is perfectly safe for both children and animals. After the color is selected, the user can select if they want their custom mermaid pillow with the full pillow that comes with polyester filling or if they want just the mermaid pillow cover and they will fill it themselves. Qstomize.com ships their custom mermaid pillows worldwide for free to any country in the world. Express DHL shipping is available as well as wholesale pricing for those interested. To contact Qstomize they may be reached at info@qstomize.com. Qstomize was created in 2017 as an offspring of Fidget Widgets, a leader in custom fidget spinners.